FREE HAIRCUT – PURCHASE THREE HAIRCUTS IN ADVANCE, GET A FOURTH ONE FREE! 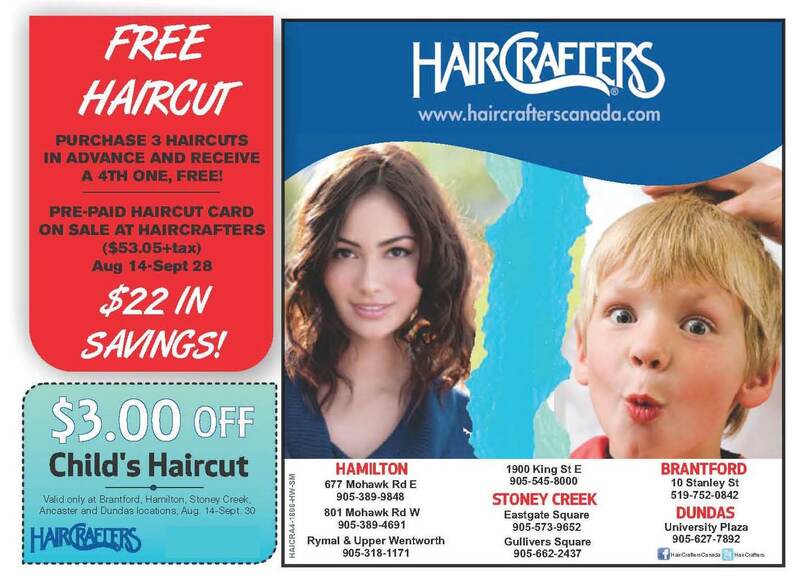 PURCHASE 3 HAIRCUTS IN ADVANCE AND RECEIVE A 4TH ONE, FREE! AUGUST 14 – SEPT. 28 – $22 IN SAVINGS!